All Jenny Cooper really lacks in her life is a decent devilled egg recipe, and she’s determined to get one. But in the process of stalking the pastor’s wife to further her goal, she stumbles onto a murder and a secret - one that might just blow small town Cooper, Tennessee to smithereens. Series Note: Small town life is pretty good for Jenny. She and her sister run the best chicken farm in the county, and business is good. 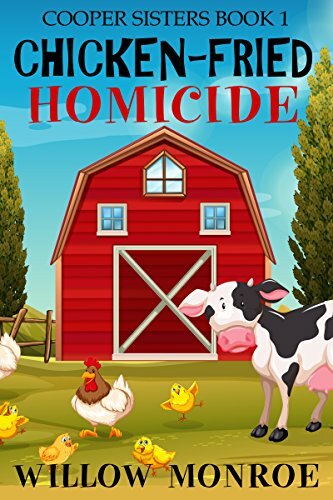 In fact, if it weren’t for the murder and mayhem and plots and problems that Jenny keeps finding, her life might just be considered happily boring. A quick, cute cozy finds readers on a chicken farm in Tennessee run by two 50ish sisters, Jenny and Sissy, who are small town girls with one death and a second possible victim in the hospital. A well written mystery, with excellent characters, a fun location and great descriptions. I look forward to reading book 2.